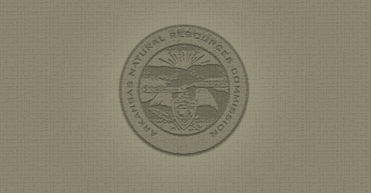 The Arkansas Natural Resources Commission is the State's water resources planning and management agency. The Commission is responsible for state level planning, management, and protection of our surface water resources. This is accomplished through several programs. One of these programs is the Non-Riparian Water Use (NRWU) Program. The NRWU Program is designed to monitor surface water use outside of the riparian zone through the evaluation of surface water diversions, and subsequent determination actions (to include permits where appropriate) associated with each use. Surface water users are required to obtain certification from the state verifying the use of surface water will comply with the Arkansas State Water Plan and applicable state water law. What is a Non-Riparian Water Use Permit? A Non-Riparian Water Use Permit is a water right issued under Title III of Arkansas Natural Resources Commission's Rules for the Utilization of Surface Water. Surface waters are defined as "water occurring on the surface of the ground in lakes, ponds, and natural or channelized streams". Diversion of water will cause no significant adverse environmental impact. Who is required to obtain a Non-Riparian Water Use Permit or determination? Anyone proposing to divert surface water for non-riparian use is required to submit an application for determination. What is the difference between a Riparian Water use and a Non-Riparian Water Use? A Riparian Water Use is use by a riparian landowner. A riparian landowner owns land bordering the source surface waterbody. Riparian landowners have water rights which enable them to take and use water on their riparian land. Riparian land must be in the same watershed as the water source, and must not be severed from the source of supply by an intervening parcel (the source property and the use property must be one and the same). Generally, a riparian water user must share the water supply with other riparian users. A Non-Riparian Water Use is use of surface water for activities on non-riparian property. A non-riparian landowner owns land with no surface waterbody on or adjacent to the parcel. Non-Riparian landowners do not have water rights associated with property ownership. How much water can be diverted without having to apply for a water use permit? Anyone proposing to divert surface water for non-riparian use is required to apply for a permit, regardless of the volume of water proposed for use. Yes, a processing fee of $500.00 must be included with each application. Diverters may also be required to pay an annual fee of $100.00 for permits exceeding a year in length. How long is a Non-Riparian Water Use Permit issued for? The term of a permit is specific to the details of the project. Typically, short-term uses such as hydrologic fracturing for gas drilling are issued for a one year period. Long-term projects such as municipal, industrial, or agricultural uses are issued on a long term basis. Permits are reviewed annually. If permits are eligible for renewal, a fee may be assessed to extend the expiration date of the original permit.